With this film, clearly they're going for something much more imaginative than just a period piece. It seems to be infused with a lot of Christmas magic! I just found out about this today. It looks like it is going to be a good one! SPX...you might remember me as rdawsoniii from the Christmas Carol forum on imdb. Hope all is well with you! "Christmas isn't just a day...it's a frame of mind!" It does look like it's going to be a good movie. Really looking forward to this one! And yes, I do remember you. We talked about it a little while back. I can't remember how I figured out it was you, but I did. I think it was something you said where it was basically just a copy and paste from what you posted over there. Last edited by SPX; 10-04-2017, 01:30 PM. Bumping this thread because I managed to watch this movie online. It was very well done. You learn a lot about Dickens' life and career around this time and some interesting history aboud the book itself, including the original ending. I thought it was a very good movie, and my wife loves it. It will become part of our regular Christmas movie rotation. My wife and I watched the movie yesterday and liked it. I think it helps to know the book so you won't miss all the references to phrase and character. Definitely adding the movie to our Christmas viewing list! Cool, glad to hear you guys liked it! I ended up putting it on my Top 10 for 2017. Sadly the film only made about $8 million worldwide and so wasn't much of a box office success. I was really hoping it would do well but people just didn't get out and see it. I definitely thought it was very well made though, and think it's a worthy addition to anyone's annual Christmas movie line-up. 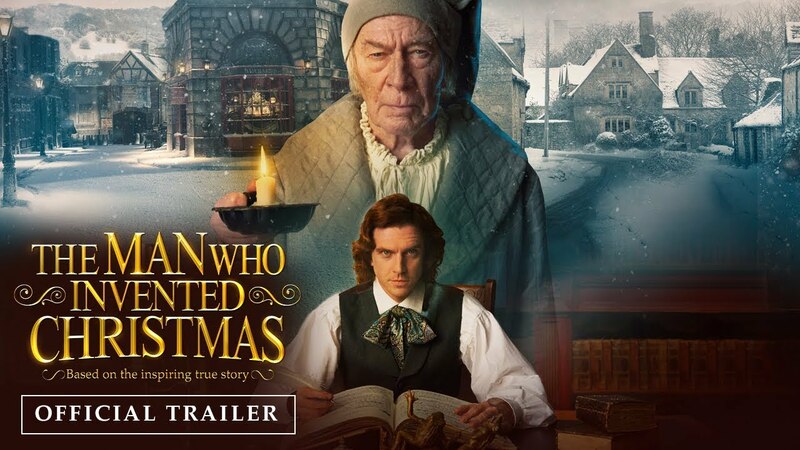 The book it's based on, also called The Man Who Invented Christmas, is very different from the movie and is much of more of a straightforward historical work, but if you like Dickens and want to learn more about the circumstances surrounding the writing of A Christmas Carol it's worth the read.